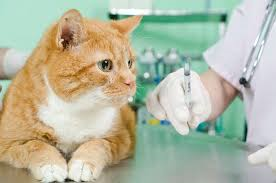 A common cause of toxicity in cats presented to emergency vet clinics is the application and/or accidental exposure to canine insecticide and flea products containing the active ingredient permethrin. Permethrin is part of the “pyrethroid“ class of toxins which affect the central nervous system. As a general rule, any product containing pyrethroids should not be used in cats as they are very sensitive to these toxins. Clinical signs usually occur within hours of exposure and affected cats can exhibit signs of seizures, muscle tremors, shaking, drooling and vomiting. Affected patients require emergency vet care to control and treat seizures and muscle tremors. If you have any concerns about your cat having come into contact with permethrin or pyrethroid containing products then do not hesitate to contact your local animal emergency hospital.